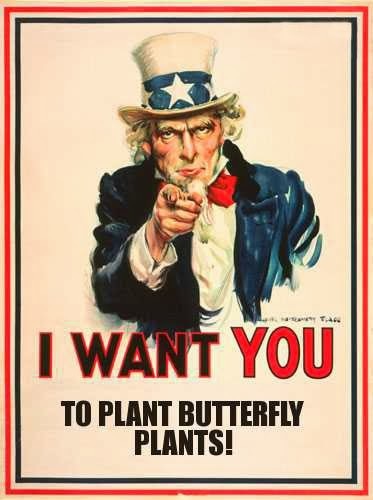 We've recently touched upon buddleias and the lantanas for butterfly gardens. Now, let's move on to another marvelous nectar plant, Pentas lanceolata. A plant with several common names including Egyptian Star Flower, or Star Flower for short, Pentas is the common name I prefer to use. Pentas: prince or princess. Does anyone know of an adjective that's PC gender neutral for prince/princess? Princer? Princeperson? Another easy care stellar nectar plant, Pentas deserves a spot somewhere in any self-respecting butterfly garden. Prefers full sun along the coast as most heavily flowering plants do, but thrives especially well in part sun/part shade environments, more so inland. It is somewhat frost sensitive; perennial in areas where temps don't dip below 25°F. Breeders have done remarkable things with garden plants, but alas, with the princely Pentas, they have sacrificed nectar production for beauty in form and colors. Grandma's old tried 'n true Star Flowers she had to stake up because of their rangy growth was offset by the prodigious amounts of nectar these small, star-shaped flowers literally dripped from their tubed mouths. Today's modern offerings give us compact plants that don't require staking, and larger, more colorful blooms than grandma's. In their quest for garden bling, these same breeders didn't take into account one of the key features (I think) of Pentas, and that is their ability to attract butterflies and hummingbirds from the farthest reaches of a garden. Today's nursery offerings are hollow ghosts of things past. Like Justin Bieber, cute little boy toys without any substance inside. Butterflies pass them up (and bees for that matter). They don't contain nectar, or very little of it to warrant foraging around within their blooms for meager pickings. Some gardeners think that the modern varieties have no nectar all. I must agree from personal observations I've done on the newer offerings. But wait! There is a strain of modern Pentas called 'Butterfly' that retains old cottage garden nectar production with compactness and colors desired for today's gardens. I have yet to see any offered in local nurseries. I did find 'Butterfly' seed for sale online last year, bought some, and successfully germinated them. Unfortunately, they succumbed to disease, as I kept them a bit too moist and roasted them in the sun when I moved them outside from under their grow lights indoors. Learning from past mistakes, I started some new Pentas 'Butterfly' a few weeks ago. I'll know to keep the moisture down and slowly introduce them to the outside this time. On a lark, I did buy a beautiful looking Pentas at the nursery last year, and sure enough, I haven't seen one butterfly or hummer visit it. Not one. When searching for Pentas seed, be careful of claims that with their particular variety: "Butterflies adore them!" That may be true, although the only modern Pentas variety I know of that truly attracts butterflies is the aptly named 'Butterfly' series. Others may claim to, but may get away with it by transferring the qualities of heirloom selections over to modern offerings within their online and catalog descriptions. Do they truly transfer prodigious nectar production of yore to present? I couldn't guarantee that without reading up on them via independent testing. Some of the sites selling live plants will list other Pentas varieties along with 'Butterfly'. Make sure you order from the 'Butterfly' series. Although not drought tolerant, Pentas can forgo regular waterings; just make sure they get water when showing signs of distress. Monthly feedings are appreciated during the active growing season up until roughly mid September when it's wise to harden them off for winter's cold by not fertilizing Pentas until the following spring growth. Cutting back stems the beginning of spring encourages plants to stay more compact. Well worth the little bit of space to grow one. Like the old 70's Alka-Seltzer TV commercials advised: "Try it! You'll like it!"